Alive! 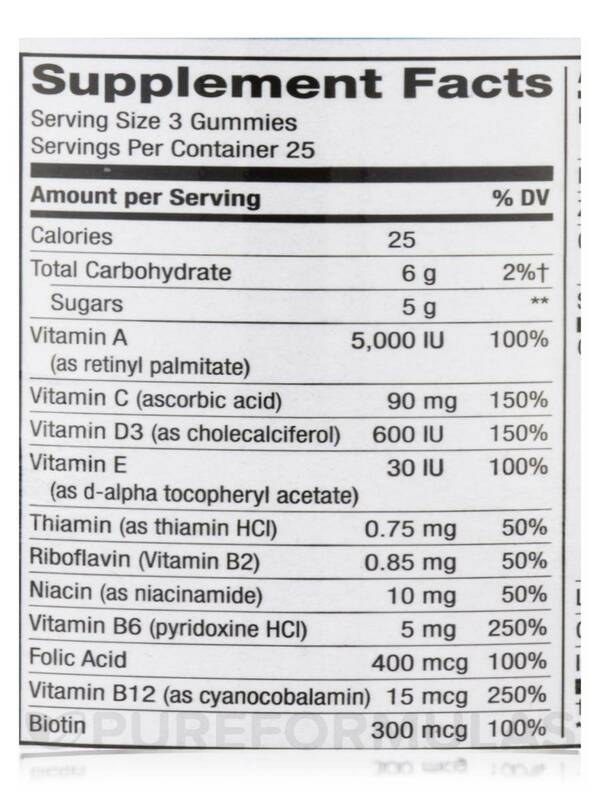 Men’s Gummy Multi-Vitamin is a great tasting multivitamin from Natures Way here Pureformulas.com has free shipping as always. 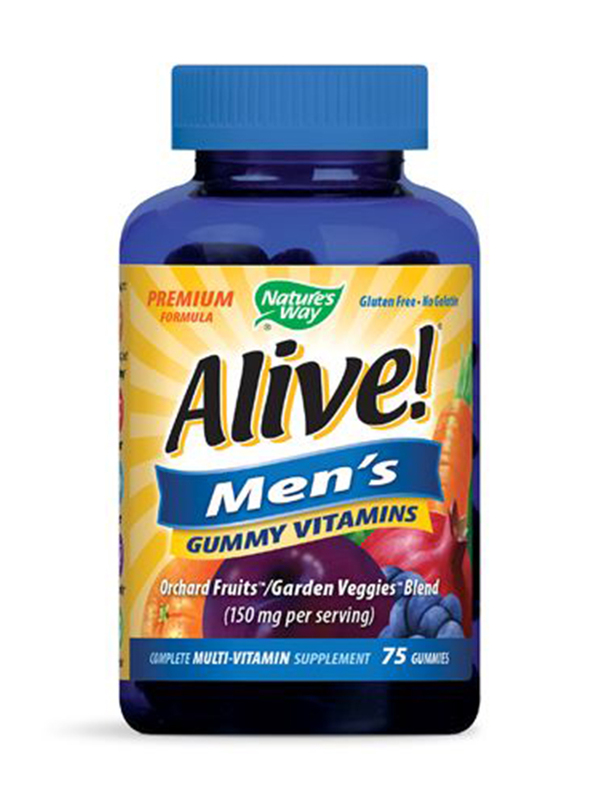 Derive total body nourishment with Alive!® Men’s Gummy Multi-Vitamin - 75 Gummies from Nature’s Way® formulated specially for boosting men’s health. 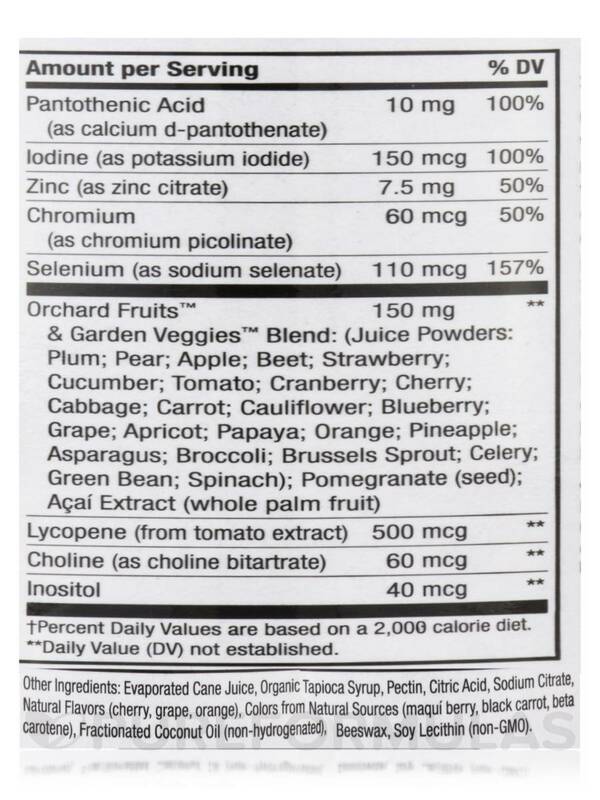 This multi vitamin and mineral supplement is endowed with the goodness of 26 fruits and vegetables to cover all B-complex vitamins and provide prostate support. 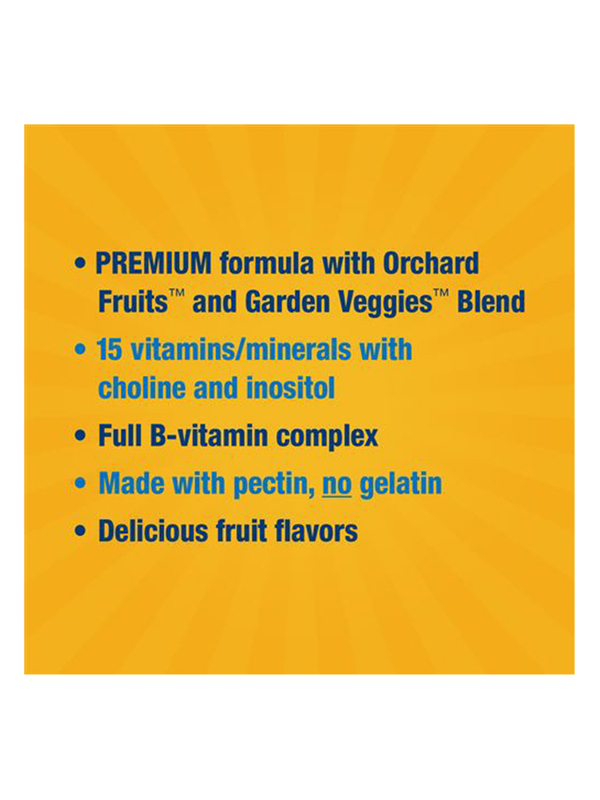 Orchard Fruits™ and Garden Veggies™ Blend comprises juice powders of plums‚ pear and apple‚ beet‚ cucumber‚ carrot‚ cabbage‚ broccoli‚ Brussels sprouts and more. 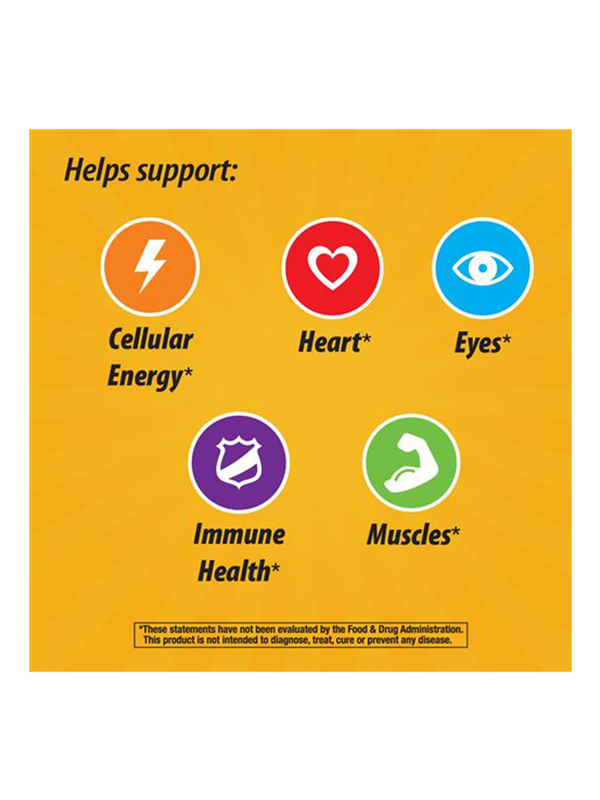 These are rich sources of the entire gamut of vitamins and minerals. Apple and pear appear to benefit cardiovascular health and are rich in soluble fiber. Plum has antioxidant properties to help joint conditions‚ prevent age-related vision problems‚ preserve heart health and improve immunity. 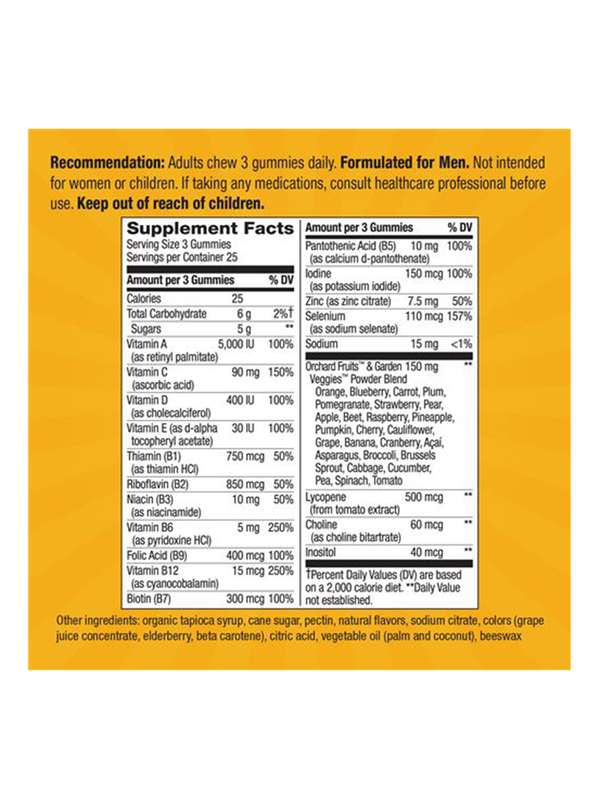 Berries in this supplement for men from Nature’s Way® appear to be rich in antioxidants to protect your body from free radicals and inflammatory conditions. Strawberries are high in vitamin C and folic acid. Cranberries help fight urinary tract infections. Blueberries contain anthocyanins as antioxidants. Lycopene‚ a naturally occurring chemical found in tomato extract‚ helps maintain prostate health and prevent lung‚ heart and arterial conditions. 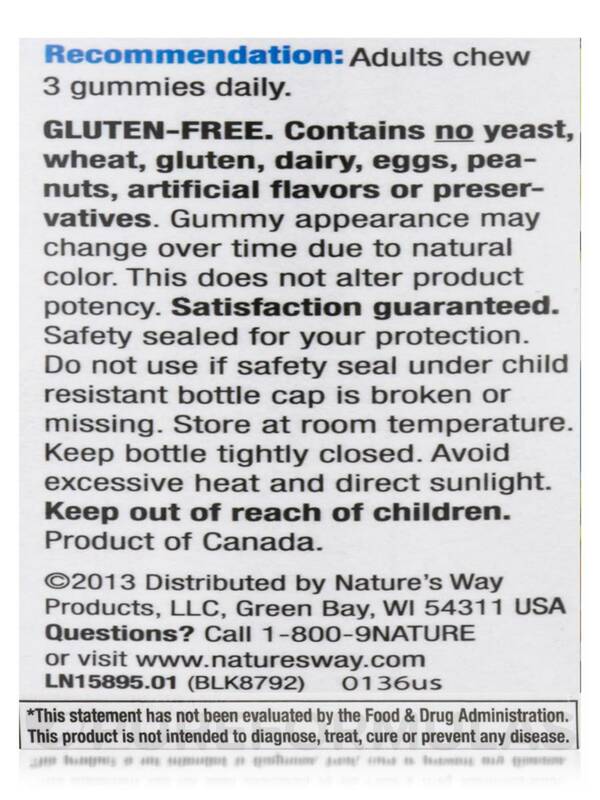 With powerful antioxidant capabilities‚ lycopene in Alive!® Men’s Gummy Multi-Vitamin - 75 Gummies from Nature’s Way® helps protect cells from damage.